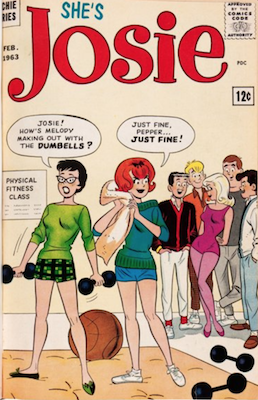 Archie Comics Value: What Are YOUR Vintage Comic Books Worth? 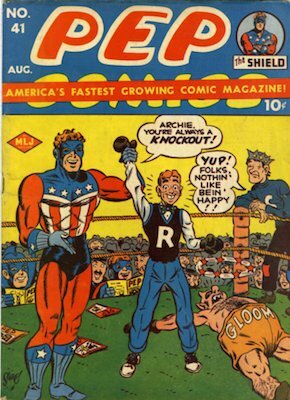 Archie Andrews has been America's favorite teenager since December of 1941, when he made his debut in Pep Comics #22. 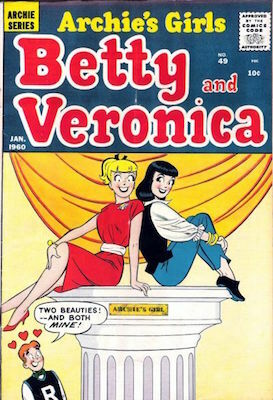 Along with his friends Jughead Jones and Moose Mason, his rival Reggie Mantle, and the two girls he can't decide between, Betty Cooper and Veronica Lodge, Archie has remained continuously in print. 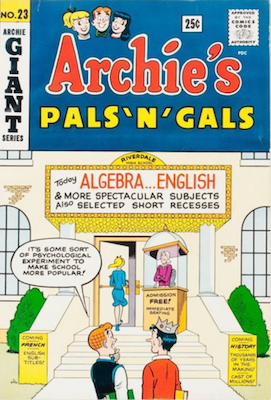 Pep Comics #22 featured a 6-page story, towards the back of the comic, called Introducing Archie. 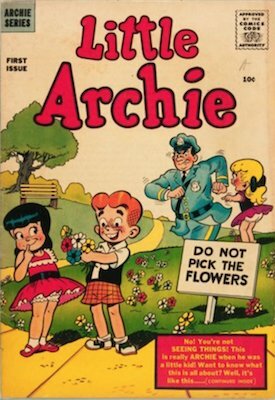 There is some debate over who actually created the character of Archie, but this story was scripted by Vic Bloom and penciled by Bob Montana. 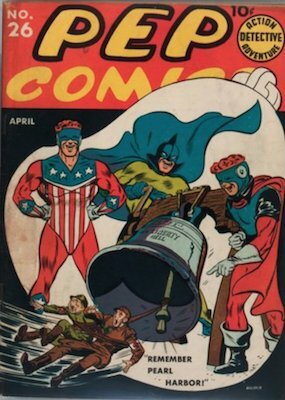 This issue's historic significance makes it very desirable to collectors, and very few copies turn up for sale. 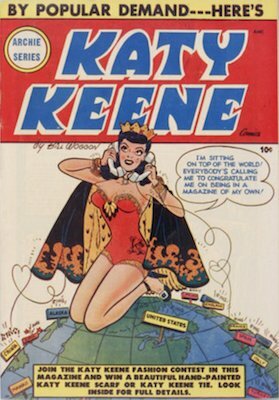 It's a truly rare comic book. 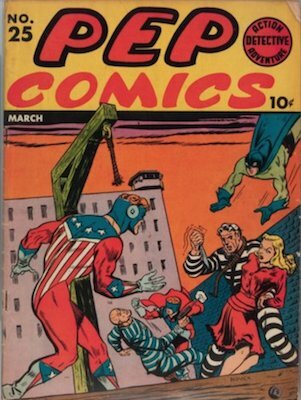 See our guide to Pep Comics #1-100 here. 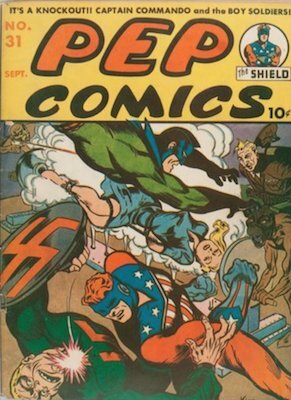 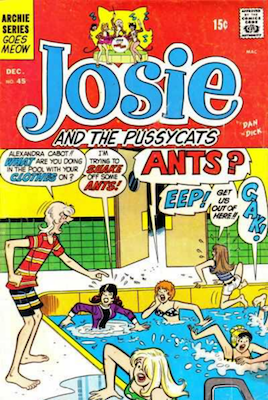 Although PEP #22 predates Jackpot Comics #4 by two months, Archie's face in a circle was the first time the character appeared on the cover of any comic book. 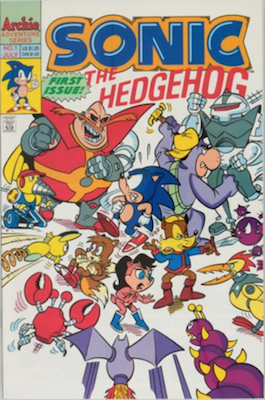 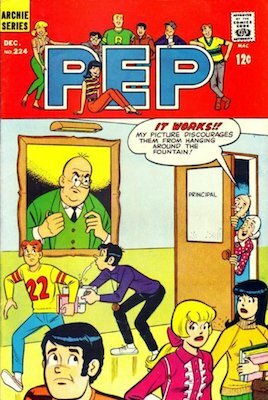 It would be almost two years before Archie comics featured the full character on the front of PEP #36. 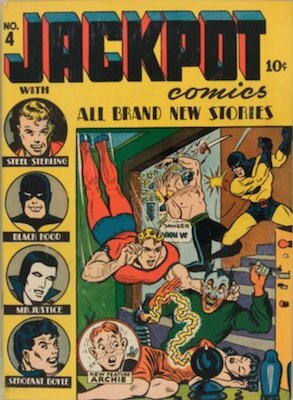 Have a copy of Jackpot Comics #4? 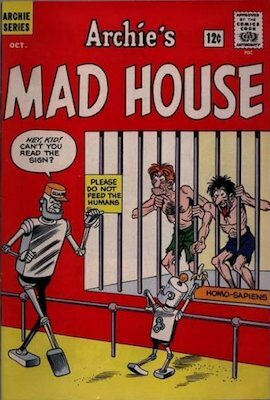 Click here to have yours appraised! 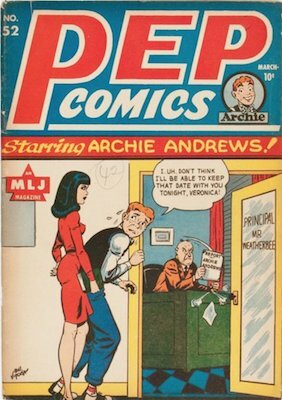 Archie Andrews became more popular over time, and would, along with his friends, dominate Pep Comics until its cancellation in 1987. 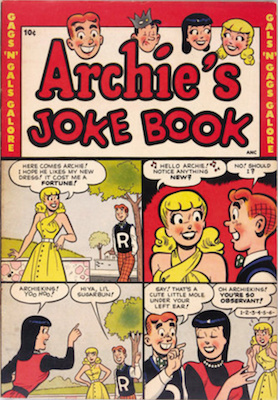 Of course, Archie was the subject of a staggering number of other titles from MLJ, even before they renamed themselves after him, and the first one, launched in 1942, was simply called Archie Comics #1. 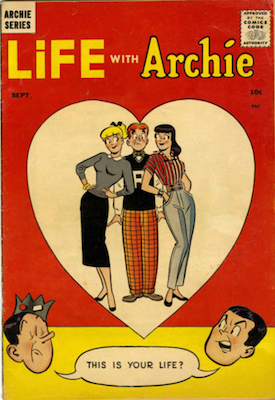 Archie #1 was published in Winter of 1942, and is relatively scarce, along with being historically significant. 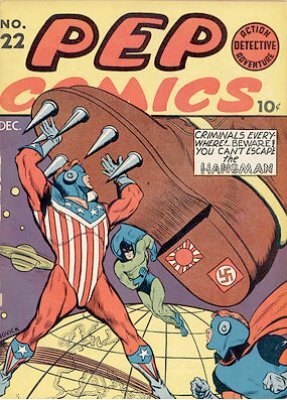 There are few copies around in any condition, and when they do appear, they command very large sums of money. 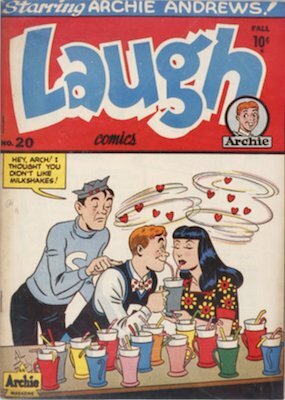 See our full issue-by-issue Archie comic books price guide here. 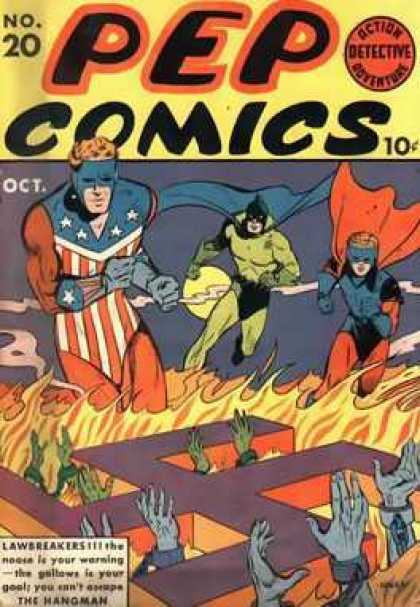 Both issues #2 and #3 are considered hard to find in any condition. 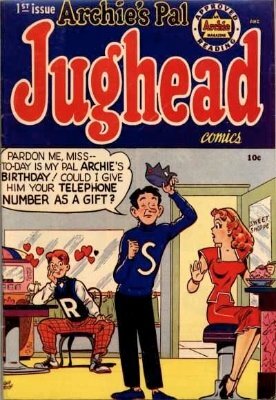 In 1949, Archie Comics spun off the most popular supporting character of Archie's friends, Jughead Jones, in Archie's Pal, Jughead #1. 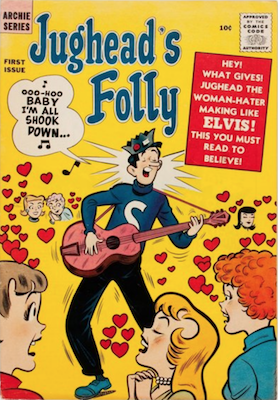 Jughead provided comic relief, and served, many would suggest, as the template for Scooby-Doo's owner, Shaggy Rogers. 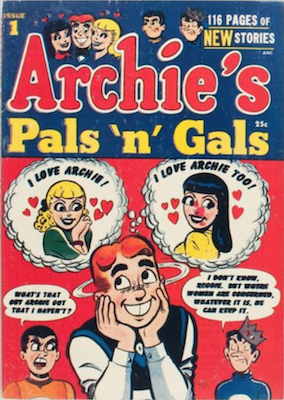 Although he did not have the hippie trappings of Shaggy, Jughead was lazy, loved food, and in general was not interested in girls. 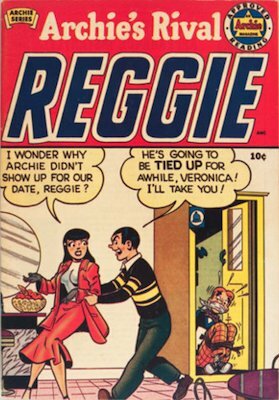 As such, he was the perfect sidekick for Archie: one who would not compete for Betty and Veronica's attentions. 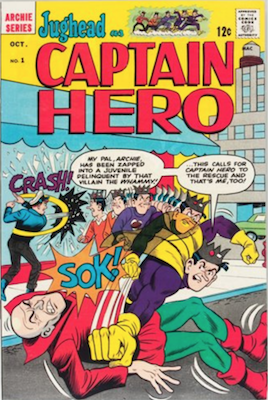 The first issue, as the rest of the series would be, is an anthology format, all of the short stories featuring Jughead. 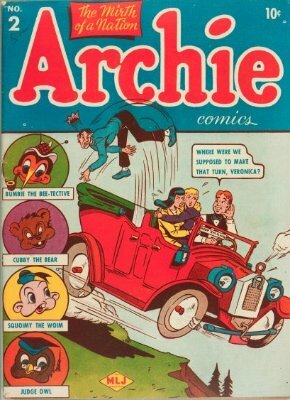 Archie appeared in some of the stories, but in many Jughead flew solo. 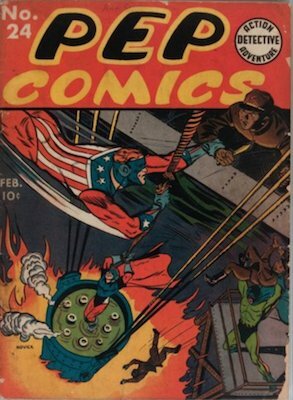 Issue #1 is a valuable later-Golden-Age comic, and very scarce. 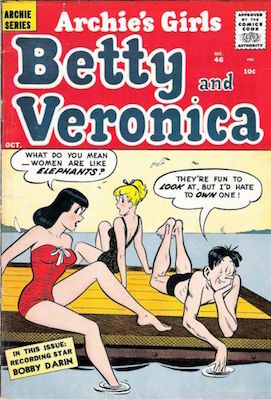 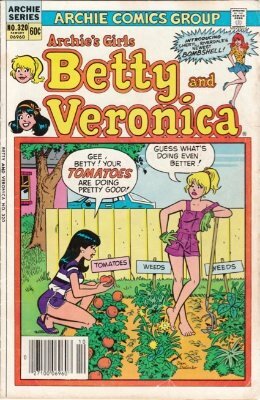 Archie's Girls Betty and Veronica #320 is on our 100 Hot Comics list. 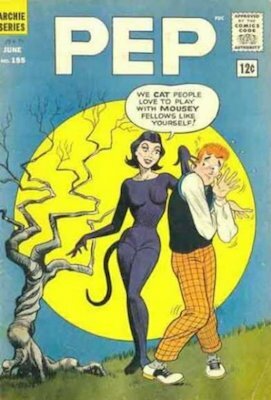 Click to find out why! 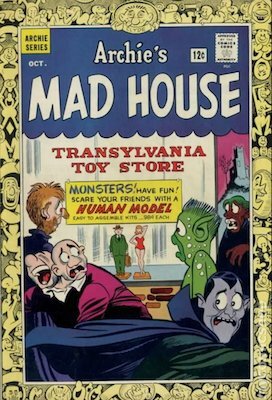 Check values | Click to get yours appraised! 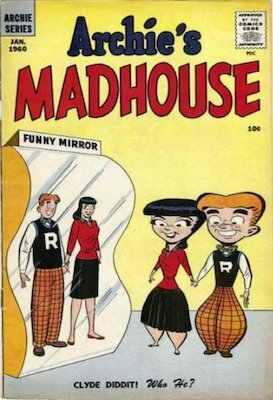 Archie's Madhouse #22 is on our 100 Hot Comics to invest in list. 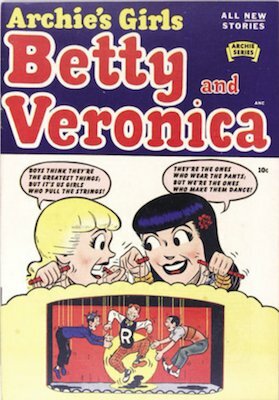 Click to find out why! 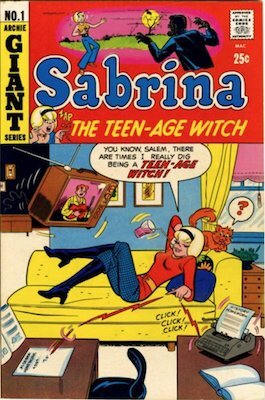 The usual happens next... Sabrina is very popular, and so she morphs into her own series. 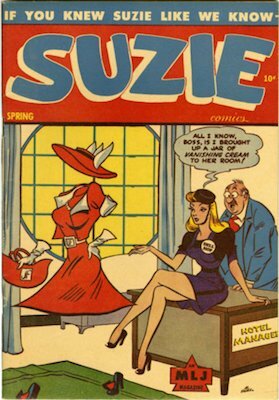 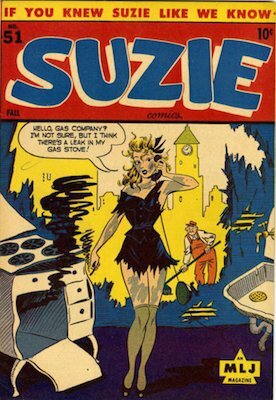 Having tried out in Top Notch, Suzie went on to become a major character in the Archie universe... with her own series. 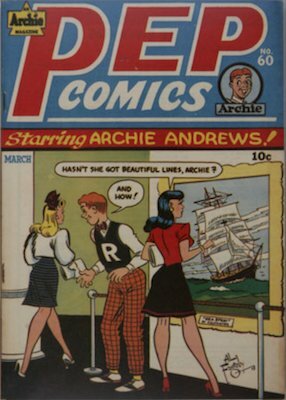 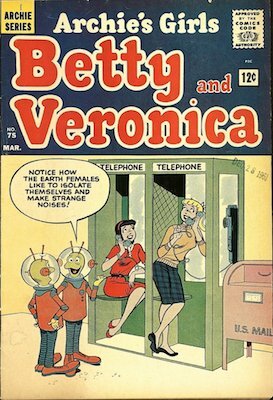 There are many Golden Age issues of Pep Comics that have high values, before Archie appeared on the scene with #22. 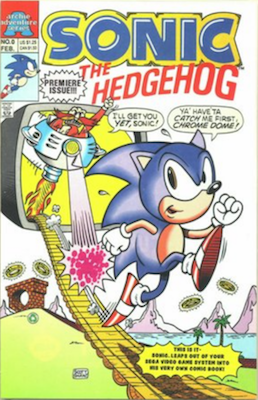 The title started as an anthology, with a mix of science fiction, adventure, drama, comedy, and superhero stories. 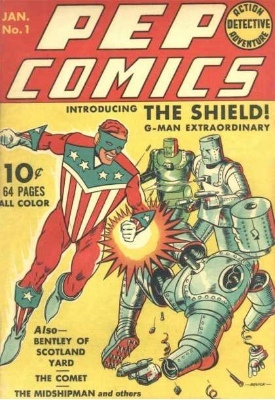 Generally, the superhero stories were featured on the cover, especially for issues starring the Shield, MLJ's patriotically-themed superhero (who incidentally predates Timely's Captain America by a year). 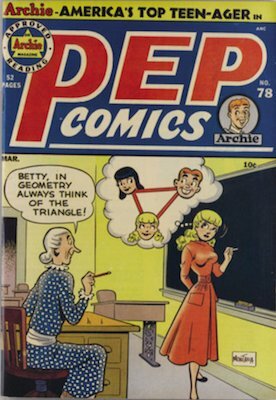 Several pre-Archie issues of Pep will fetch several thousand dollars, with the highest values generally coming in for the earliest issues. 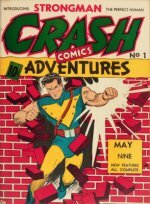 Like any Golden Age superhero comics, they tend to be very desirable to collectors, perhaps particularly because they are rather scarce, especially in good condition. 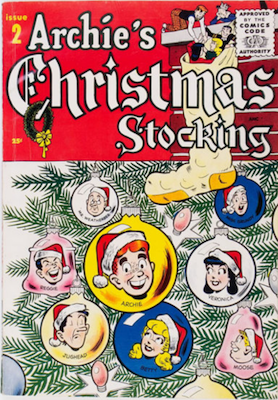 MLJ Magazines, founded in 1939, was the publisher of Pep Comics. 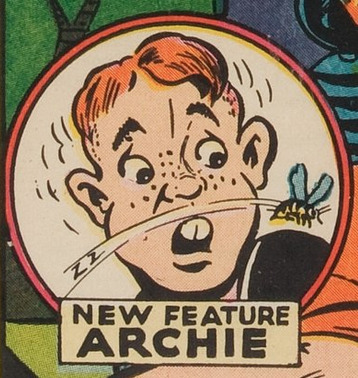 After it became apparent that Archie was going to be the company's biggest money-making character, he was given his own title in 1942. 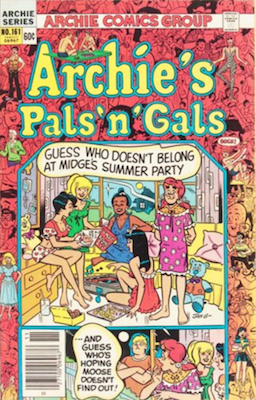 The company was eventually renamed Archie Comics to reflect Archie's importance, and still operates under that name today. 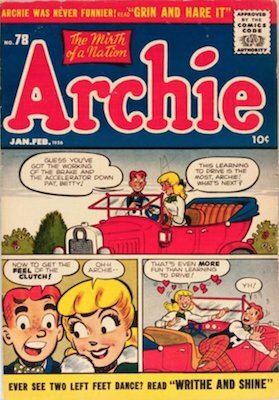 What has never changed is the world that is portrayed in almost all of the comics produced by Archie Comics: the idealized life of Midwestern teens navigating their way to adulthood through part-time jobs, high school, romances, and rivalries. 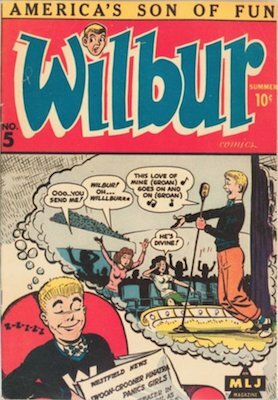 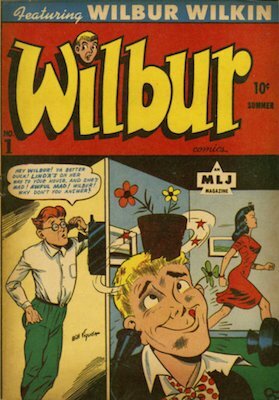 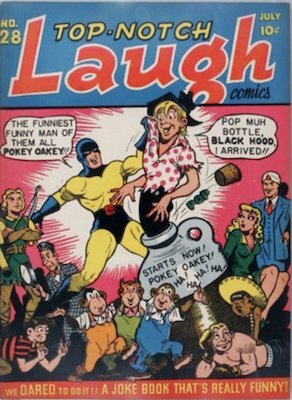 MLJ's original idea was to create a line of comics that would appeal to fans of the Andy Hardy film series, in which good-natured-but-earnest Andy makes typical teen mistakes, gets in trouble, cracks jokes, and eventually makes good (and gets the girl) after some advice from a wise adult. 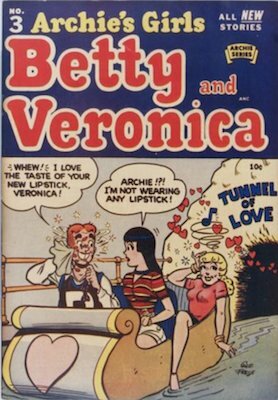 What may be surprising is that there are Archie comics that have amassed a considerable value. 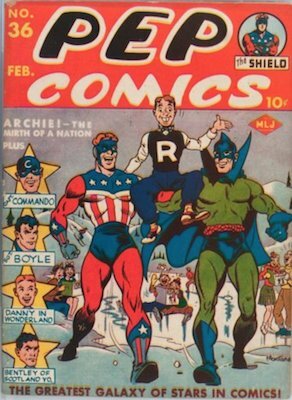 1941 was, after all the Golden Age, and even though collectors of superhero comics may not have Archie on their radar, that does not mean that you shouldn't. 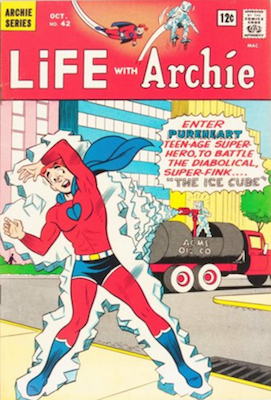 If you come across some old Archie Comics, it'd be smart to find out what they're worth, even if Archie doesn't wear a cape. 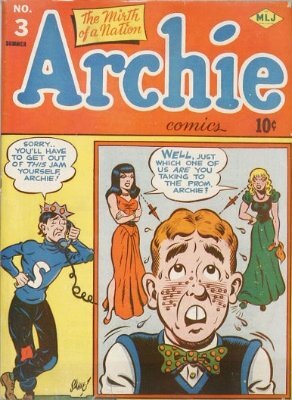 Archie has also been continuously a teenager for over 70 years, without a break, a reboot, or a retcon. 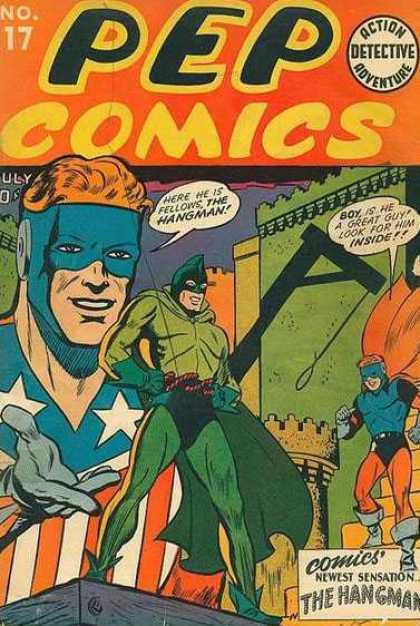 How many other comic book characters can make that claim? 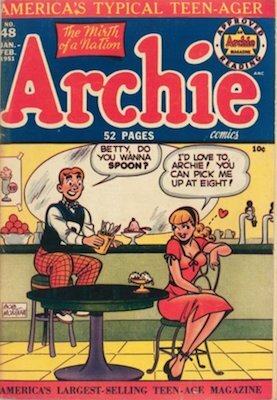 Have Your Golden and Silver Age Archies Valued! 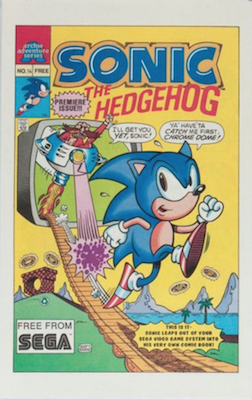 then click here to have them valued FREE by Sell My Comic Books! 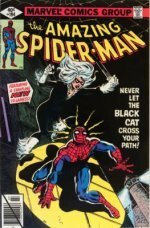 See our article on comic book grading for help with identifying the grade of your comics. 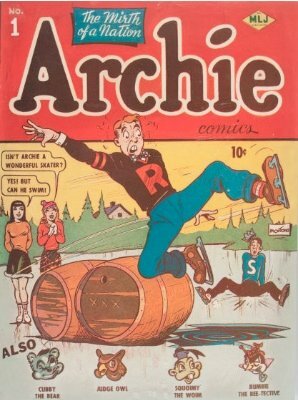 With thousands of comics featuring Archie, we focus this price guide on the first hundred issues. 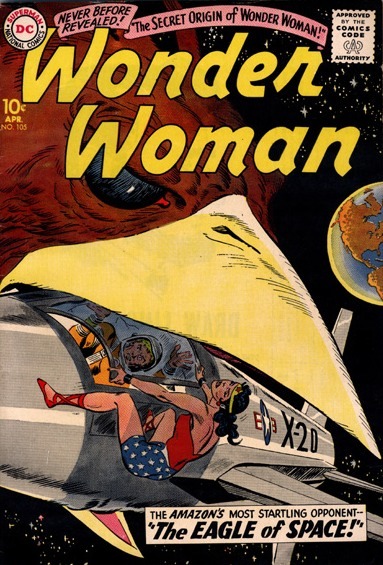 What are Superman, Batman, Green Lantern and Wonder Woman comics worth today? 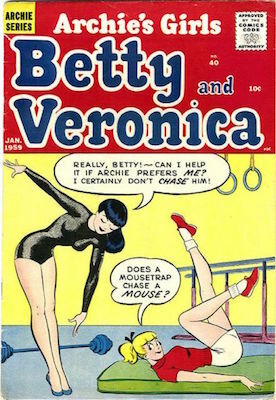 From Archie's Madhouse #22 to gross EC and crime comics, see the best ones here. 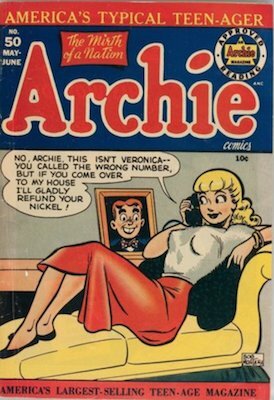 Got some Archie Comics to Sell? 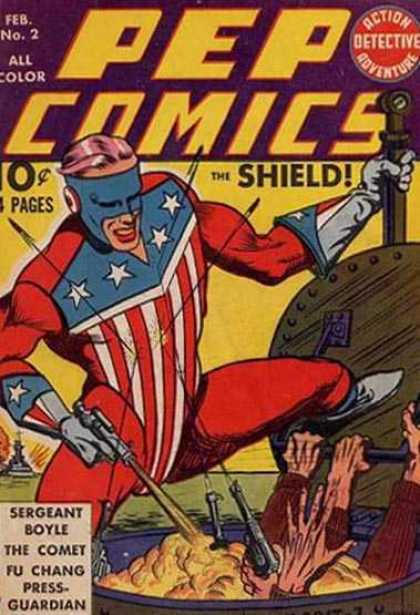 Get a FREE Comic Book Appraisal!